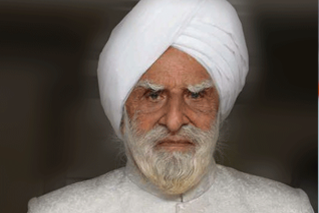 Sardar Jodh Singh was born to a Sikh family in 1920 in a remote village of Montgomery district, former Punjab Province in Pakistan who settled in India during Indo-Pak partition. After searching for business prospects in Ludhaina, he looked eastwards towards Kolkata and started dairy business. Sardar Jodh Singh first came to Kolkata in 1952 and since then, this has been his home. He soon turned this diary business into a flourishing venture and started supplying milk to the leading Milk Dairy product suppliers in Kolkata. He set up an Engineering college in Asansol in 1998 followed by JIS College of engineering in 2000. Thereafter, there was no looking back. In 2003 he setup the first private dental college in the State of West Bengal, Guru Nanak Institute of Dental Sciences & Reseatrch, at Panihati, Kolkata. Today, his endeavour and hard worn has born fruits and turned JIS Group Educational Conglomerate into what it is now - the largest premier educational service provider of Eastern India with 26 institutes with over 126 program, and over 35000 students enrolled into theses diverse programs. Sardar Jodh Singh or popularily known as “ Bapuji ” left us for heavenly abode on 25th January , 2018. His never ending zeal and determination to serve the people will keep inspiring us for the generations to come. After his demise his dynamic and visionary son Mr Taranjit Singh is chasing the dream his father cherished – to empower lives through knowledge and eduction. Years back whenever, I went to my sons' school, somewhere I felt an urge. It took several years to realise that the urge was actually a persistent dream. This dream was within me, germinated since my tumultuous childhood days at the time of freedom movement and partition. At the dawn of the new millennium, came the opportune moment to realise this dream. The urge was to give back to the society, initiatives which are worth mentioning for their contribution for the people. Thus was born the JIS Group Education Initiatives. Now it's a proud moment for me and my team, when we see, thousands of students every year leaving the portals of our educational institutions with a smiling face looking ahead to a bright future. While establishing each of these institutions, the objective was to give opportunity to students from eastern India to high standard platform to learn, inherit domain skills which are completely career-linked. This has extended our reach from graduate / postgraduate programmes in engineering & technology, computer applications, management studies, medical science, pharmacy, hospitality management, allied health science, diploma & certificate international programmes techno-commercial subjects and many more. In addition we have also forayed into quality healthcare services through our Dental College; which is the first private dental college in West Bengal. Our vision is simple – Igniting Minds, Empowering Lives. The journey has just begun. Even my octogenarian physique fills up with invigorating energy for the days ahead. The next two-three years will perceive JIS Group's quantum leap, with several new educational initiatives in the areas of paramedical science, nursing, education, law, automobile engineering, and finally the most ambitious project; a medical college with a modern hospital. In these ten years, I learnt a lot from life, and now I am confident that the Group is ready to become an initiative of national significance.